What do people have to say after watching? I just want to drop a few lines in relation to the products on your website, I guess that was the best $100 I have ever spent on any Jiu Jitsu related products! I was on the verge of quitting BJJ when I found your videos on YouTube last week and today I purchased The Art of Learning Jiu-Jitsu, Guard Passing Masterclass and the 19 for 19. I'm watching the Art of Learning video and I'm so eager to go back to train! Thank you so much! I hope you will come visit Hong Kong one day and hold some seminars!!" "I watched Volume 1 of the Art of Learning. When I went to class I instantaneously performed effortless sweeps and maintained my base in every roll. I am shocked at how 3 principles stated out loud improved my game so much!" "I just wanted to say that since getting your Art of Learning and Guard Passing DVDs last year I really dedicating my training to the ideas and methods that you speak of. I'm progressing faster than anyone else I know (and all whilst working full time and doing a part time masters degree!).. It almost feels like I've got some kind of BJJ cheat code so a massive thank you for the impact you've had on my Jiu Jitsu!" "I bought the Art of Learning and it's amazing! I wish I would have known this stuff as a white belt! It feels like I now have the cheat codes to Jiu Jitsu!" "I've only been using your Art of Learning concepts for about 2 weeks and I’m amazed at the improvement already, the blue belts don't beat me as easily anymore. This is going to change my whole game!" "Thank you for creating the downloads. I watched the Art of Learning Volume 1 & 2 and had the most fun I’ve ever had at BJJ this morning. I spent the last year or so just trying to learn but now I’m really seeing it as fun using your concepts. Just wanted to let you know I appreciate the work you put into the videos." "I actually bought Art of Learning and Passing Masterclass a few months ago and decided to watch them yesterday. I was expecting more of a technique based instructional with some concepts but I got a LOT of concepts. I thought nothing of it at first but wanted to try the concepts at training that evening nonetheless, it was amazing! I found myself creating new sweeps and attacking when my opponents least expected it. I wanted to say thank you for putting out such amazing products. I love how you group your concepts into three segments, easy to remember and apply. Thanks again and keep up the amazing work!" "Thank you so much for the wealth of knowledge that you shared on the Art of Learning. Last night my club did the reverse guard passing drill (where the person who remains on the mat perpetually passes guard) and I applied all the new concepts I had learned. For the full 30 minutes I wasn’t swept and I never failed to pass anyone’s guard. I place that down to having the concepts that you articulately shared, applied to my game. Once again, thank you so much!" "I have gotten many of Kit Dale’s videos and they’re amazing! The concept based learning is simple and quickly replicable in all grappling environments! I am really impressed and excited to put it all to work! Thanks Kit, really great bro!" "I got the Art of Learning Jiu Jitsu volume 1 and 2 and it was worth every penny. The concept based approach to Jiu Jitsu is so underestimated. The content on sweeps and not being swept was great as well. No other DVDs that I have seen break those ideas down like that. Thanks for doing what you do Kit!" "Just finished watching The Art of Learning Jiu Jitsu, so Good! It changed everything for me. I think so many people are brainwashed into this idea of drill, drill, drill which I think is so boring! I just look forward to the free rolling!" "I really enjoyed The Art of Learning because it gets more into the why over the how, which resonates with me as an artist. I like how Kit breaks down each concept into the basic blocks like post, weight, leverage for sweeps." "I bought The Art of Learning and I love it. It changed the way I look at Jiu Jitsu, keep doing great things! Can’t wait to buy your book." "Absolutely fascinating concepts I feel definitely suit my learning. I have always questioned the idea of just drilling techniques then rolling. Great stuff." "I really agree with your ideas of learning concepts rather than strict techniques. I know that I only ever progress when I learn from a teacher who takes the time to express the way you put things into words and it really resonates with how I have taught strength and conditioning in the past for athletes." 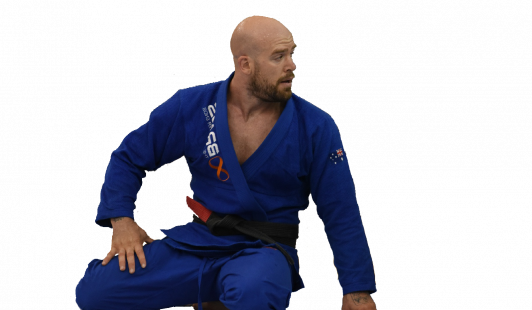 "The approach to Jiu Jitsu that you have outlined in The Art of Learning is pure gold. Kit Dale is the Tim Ferriss of Jiu Jitsu! Thank you for putting this content out. From this I have a plan for teaching my wife and kids!" "By watching The Art of Learning Volume 1 & 2, Z-Guard Instructional, Guard Passing MasterClass and Backtake Masterclass it has really improved my overall game. Utilising concepts has helped me improved at a faster rate. Keep it up and thanks brother!" "The Art of Jiu Jitsu Volume 1 & 2 was amazing. I heard about them from the BJJ Brick Podcast. It really gave me a simpler way to attack my problems. Thank you for the instructional." "I just finished The Art of Learning yesterday and I wanted to say thank you for all the work you put into the video, Kit. The philosophy of your approach to learning BJJ really strikes a chord with me on a deep level. I will definitely be checking out more of your content." "I purchased The Art of Learning and I can assure that it has had a great impact on my game. I have practiced Jiu Jitsu for the past 6 years and your concepts are true to the core. This video is a stepping stone towards a better way of learning the art." "I just bought The Art of Learning. Great content, I know it will help me out. I loved how you incorporate the 80/20 rule and books like the 4 Hour Work Week. I found that BJJ and business have a lot of similar underlying principles as well. Hopefully we get the chance to meet someday, keep killing it brother." "Thank you so much for making your videos on enhancing learning for BJJ. This material has truly changed my thought process for rolling in class. I now feel like I am making natural transitions rather than fighting with myself." "The Art of Learning is worthwhile, it is real knowledge. Kit passed my guard last weekend and made me feel like I'd never even played guard before (l am a BJJ brown belt). He is like a ghost, you go to make your move and before you know it he is passing the other way. This all became clear that it was from his understanding of concepts. Kit dale has some of the best training material out on the market for a cheap rate. If you are serious about getting better, invest in it." "I have never in my 3.5 years of training Jiu Jitsu paid for any instructional videos because I have always thought they are a waste of money, until now. I just purchased the Art of Learning Volume 1 & 2 and I am now watching them for the third time. There is some good content that I realise I apply and do by accident but have not really understood why it works until watching the videos. For example, not concentrating enough on the legs during guard passing. Great ideas and concepts! I really liked the end volume 2 where you go into the concepts in more detail. Great product at a reasonable price." "I recently bought the art of learning BJJ and it totally opened my mind to shift into a new way of thinking. Thank you for sharing your knowledge!" Want to learn more about the AOL ? !